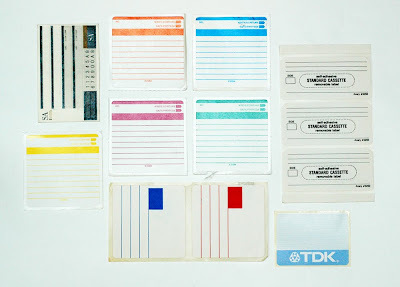 Vintage cassette and disk labels. I wouldn't consider them to be vintage :) it makes me feel old! How can you resist writing a mixed tape list on those guys!!! Love the collections. LOVE YOUR BLOG! IT'S GREAT! !